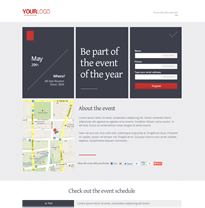 This landing page template is well designed to match your event details with your local business address. Includes a google map location and sign up form. This is a featured registration landing page template.It lets you get every piece of information onto the page. Make use of the video, sign up form, list of speakers, event schedule and a map that are included. 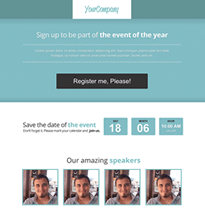 Do you want your event to stand out.This template has a clean layout, apt for professionals who organise seminars & workshops regularly. 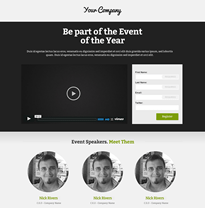 Use our event workshop template to promote your event. Have an upcoming conference or event? 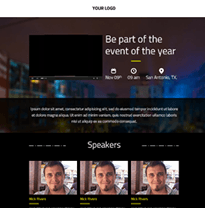 Create an outstanding event management landing page for your upcoming planning page tempalte and showcase it effectively. Make things easier! Use our event planning template which is deceptively simple, yet comprehensive and amazingly effective.